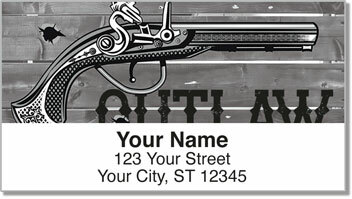 If you've got a bit of Wild West in your soul, these unique return address labels are ideal! Maybe you would have been an outlaw on the run, a sharpshooter with the quickest draw around, or the upright sheriff who protected the town. Whatever the case, the antique firearms featured on this design capture the essence of that time period. 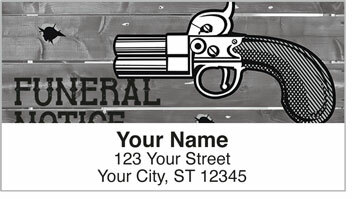 Vintage Gun Address Labels from Check Advantage are also a convenient way to prepare your mail while giving envelopes and packages a little personality! 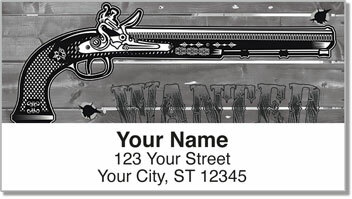 Get your very own Vintage Gun Address Labels now! 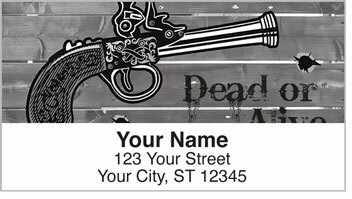 You can also find this original design in a set of matching personal checks!